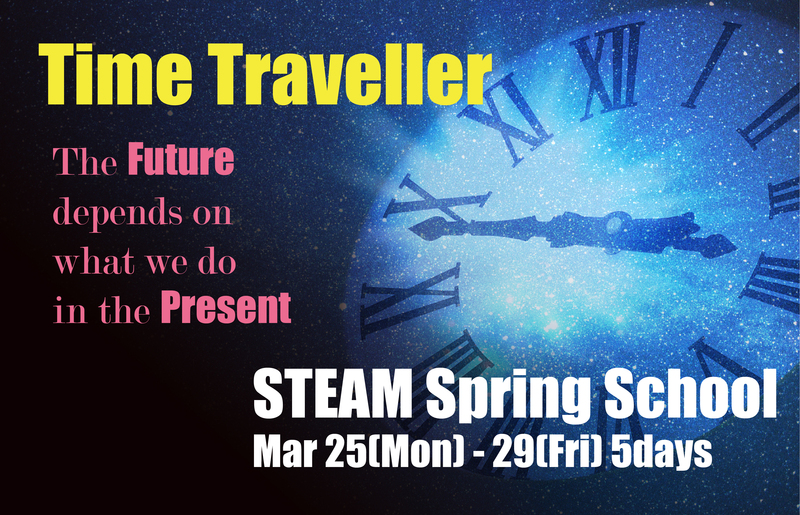 Laurus International School of Science proudly announces STEAM Spring School 2019 with the theme “The Time Traveller”. Join us as we explore how science and engineering has evolved from the past and imagine how we will live in the future! Four days of exciting experiments, history, and projects topped off with a field trip! Take the opportunity to learn about the past and create the future! We will not be able to serve non-allergic lunch. Please bring your own lunch. We cannot accept students who need an Epinephrine auto-injector (epi-pen). 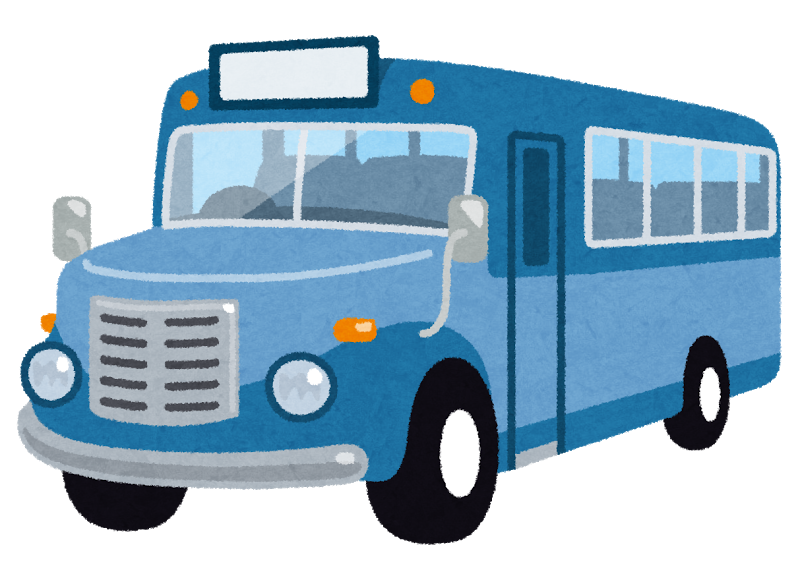 The deadline to apply for bus service is Monday, March 11. Please contact us to get more detailed information. -For Laurus students: The bank transfer for the fee will be made on Tuesday, March 27. -For non-members: Please complete payment by Monday, March 18. *Please insert “SS” before your child’s name when you make the bank transfer. · If you are an overseas resident, please ensure your children are covered by overseas travel insurance. 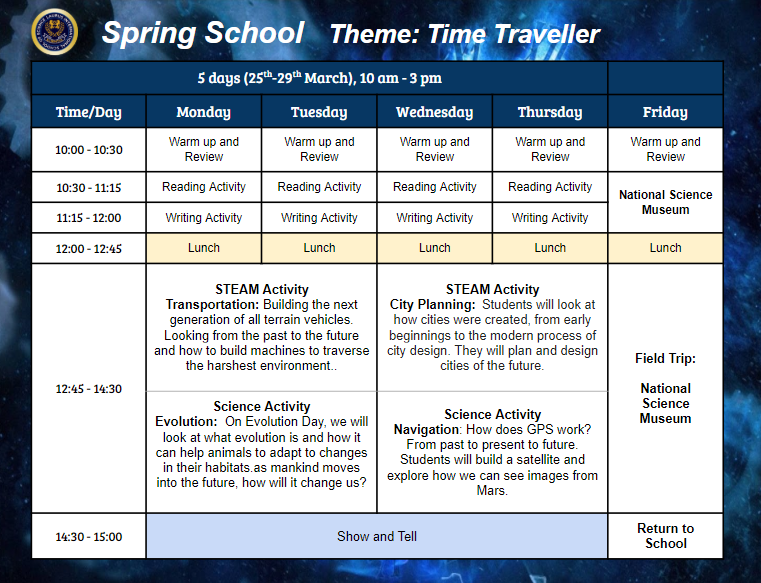 If your child / children do not have overseas travel insurance and your child / children are sick or injured during our STEAM Spring School, you will be responsible for your child / children’s medical expenses.